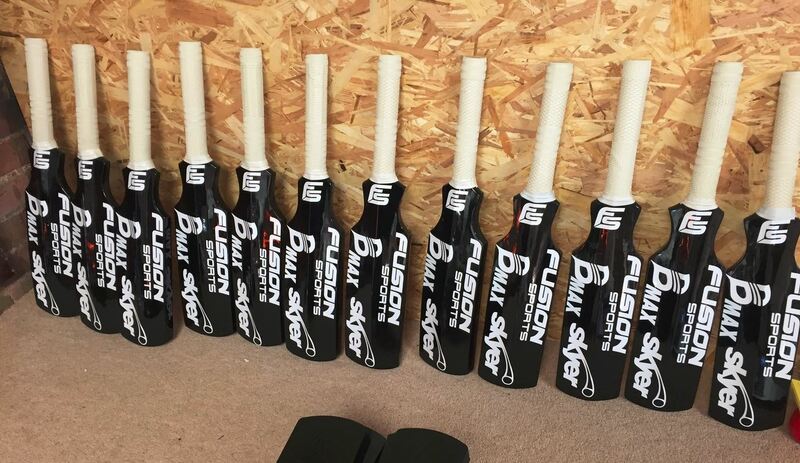 The Fusion Skyer is the original and still the best coaches’ bat on the market. Designed to give you the ability to hit the ball much higher and further than a normal cricket bat, without the risk of fatigue or injury.The Skyer bats are around two-thirds the size of a standard cricket bat and are used to give high catches with an amazing hang time of up to seven seconds. The revolutionary half-rubber bat is helping to raise the quality of Team England’s fielding drills, drawing gasps from the public who turn up to watch and receiving envious looks from opposition coaches. The Skyer is helping more and more incredible catches to be taken at all levels of the game from international teams to school and club cricket. The Secret to the Skyer is the unique rubber face. Only available to Fusion. The compound gives exceptionally high performance and is incredibly resilient, it will go on performing even after thousands of uses. Though more expensive than other copies on the market, no other can match its performance. A new addition to the Ledgends product range is the super Skyer B MAX training cricket bat. The B MAX uses the black Fusion high performance FOB for those big hangers. This cricket training bat is perfect for all levels. The Skyer B MAX is used by the majority of International and first-class coaches. The Skyer was invented by James Cornford, a former minor counties and second XI player. Mark Garaway, the former Team England analyst, has helped refine it to a standard that it is now a fixture in the team kitbag.